Brady states that there is no hard evidence to support the decision by NFL commissioner Roger Goodell. But investigator Ted Wells reports that this is “not plausible and contradicted by other evidence” and that Brady “was at least generally aware” of the deflating activities. 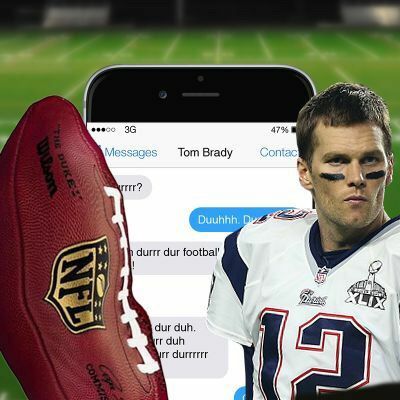 New reports released indicate that Brady’s phone has been destroyed and, even more shockingly, it happened on the day he was set to meet with the investigator in which he knew needed to access his phone. His SIM card was in use for 4 months and had over 10,000 text messages that now cannot be retrieved due to the destruction. Sure, he says it’s common practice for him to destroy his SIM cards after he’s done using it, but what leads him to be “done with it?” And why, on that particular day, before meeting with the investigator? None of this is looking good for Tom Brady. He may be innocent, as he claims, and truly oblivious to the acts of “deflategate,” but he can also be guilty–as Roger Goodell thinks. The four game suspension without pay that Brady was given is the same penalty that is given to players caught using performance enhancing drugs. With the new evidence, do you believe Brady is innocent or guilty? Is a 4 game suspension suitable? Is the Redskins’ name worth it?